Join The Hivery and LiveaMoment for a compelling conversation and fundraising event with Dr. Tererai Trent. We're thrilled to welcome Deborah Greene, Hivery Member and Founder of LiveaMoment, as she launches The Global Pause. The Global Pause is a global initiative using the newly released LiveaMoment App to create moments of global calm, teach empathy, and raise money for hundreds of global peace organizations. She will be traveling the world hosting diverse panels of luminaries, teachers, and everyday people in these interactive discussions and moments of pause. As seats are limited, advance online registration is required. General admission tickets are $25 - $45, including a signed copy Dr. Tererai Trent's new book, The Awakend Woman. All proceeds go to Tererai.org. Ticketing for this event is being managed by LiveaMoment. Please purchase your tickets via the below link. Can't make it? Join the event on Facebook and experience the magic on Facebook Live! All are welcome! Today, Dr. Trent is invited to speak all over the world, to share her remarkable story and the valuable lessons she has learned along the way. She was a keynote speaker at the UN Global Compact Leaders Summit where she used her growing voice to appeal to international businesses to invest in equal access to quality education. 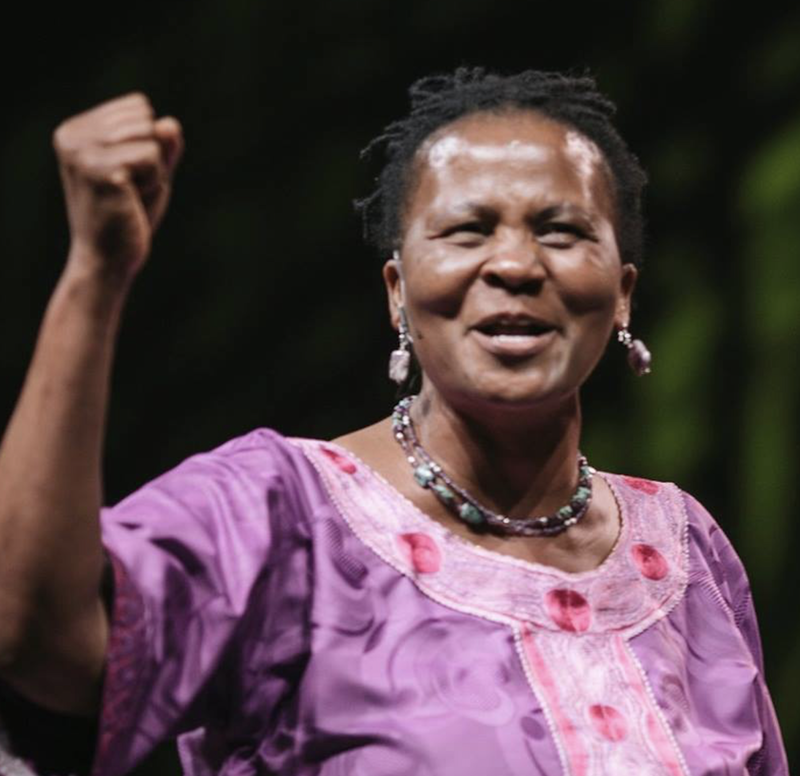 Leading the global charge in the fight for quality education for all children and women’s rights, Dr. Trent has become a symbol of hope for everyone, and living proof that anything is possible. Her favorite motto is “Tinogona,” meaning, “It is achievable!”Follow Dr. Trent on twitter at @TereraiTrent or on facebook. 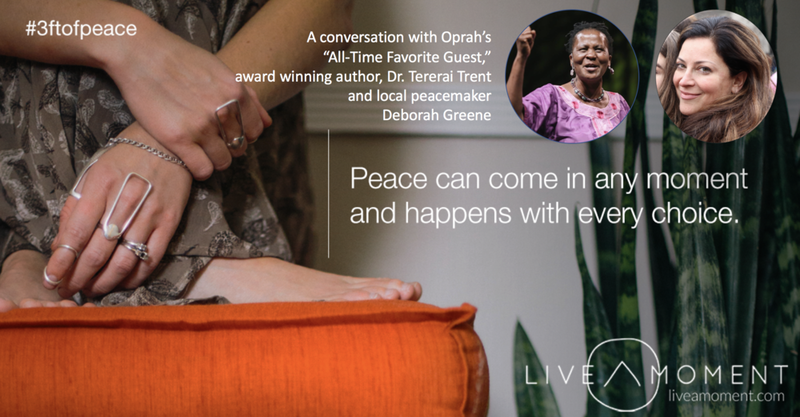 Deborah Greene is the Founder of LiveaMoment, which has just released an app designed to help people create their own 3ft of Peace, connect with others around the world, aid in the teaching of emotional intelligence, and raise money for a cause or nonprofit of their choice. Deborah has also created the Our State of Peace Project, a documentary series that emerged from interviews with hundreds of people around the world.